Introducing Traeger’s latest residential pellet grill, the SELECT. We preserved the best features of our popular DELUXE – its sleek design, high quality stainless steel trim, handy side tables, and enclosed storage space. What's different? We increased the flat grilling surface by over 37 percent! 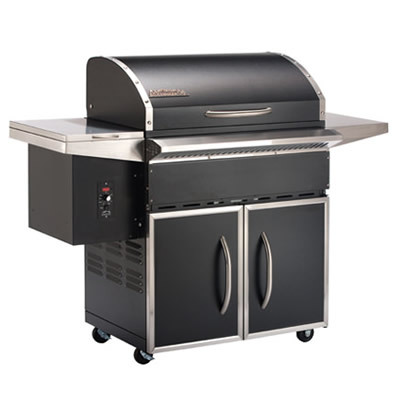 And the grill's large capacity hopper, now conveniently accessed from the outside, holds 18 lbs. of wood pellets for hours of uninterrupted grilling and smoking.